I've already 3 main layers on shp in qgis: the points of some places, the cities polygons and a grid of 10km, as you can see on the image. I would like to distort the map using time values to modify the distances as the reference below. How can I do it? To create a cartogram as in your first image you can use either Darcy software or DistanceCartogram Qgis plugin (there probably are other tools for distance cartograms - but if I'm not mistaken those two implement the method used to create your image). two layers of points (the source points, ie. the points at there real locations, and the images points, ie. the points after translation for example the estimated positions in spatial cognition) and a layer of polygons (or linestrings) to be deformed. a layer of points (the source points), a time matrix in csv format (the columns and rows id have to match with the id contained in one of the field of the source points layer), and a layer of polygons (or linestrings) to be deformed. 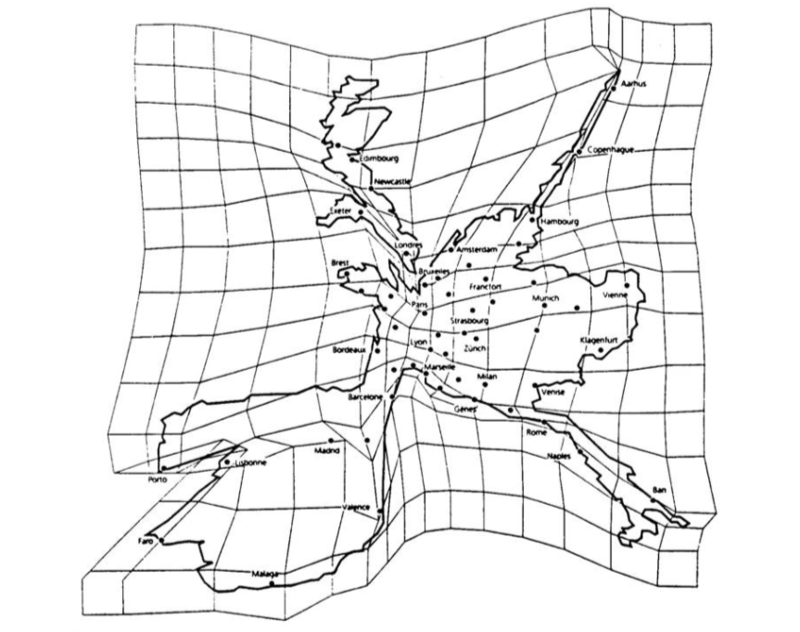 You don't have to provide your own grid, but you can choose to add the grid used for computing the cartogram. If you're facing some bug you can also fill an issue on DistanceCartogram github repository. Not the answer you're looking for? Browse other questions tagged qgis-plugins vector-grid cartogram distortion or ask your own question. How to compute time-space maps automatically? 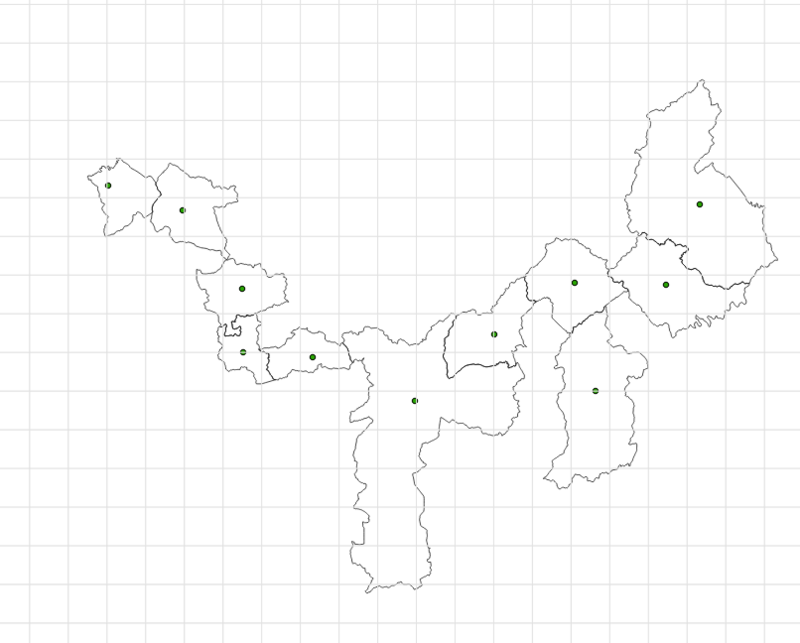 Georeferencing lat/lon .png map and adding grid using lat/lon?